Preaching his second sermon in a two-part series on the doctrine of justification, Dr. Akin reminds us that we cannot back away from the exclusivity of the Gospel and the truth that Jesus is the only way to salvation. 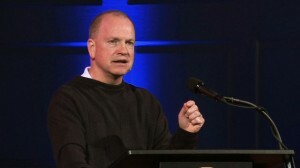 Preaching from Romans 3:21-31, Dr. Akin delivers the first part of a two part message on the doctrine of justification. Right-click here to download Dr. Akin’s PowerPoint from this message.